Above photography by Christopher Frederick Jones. 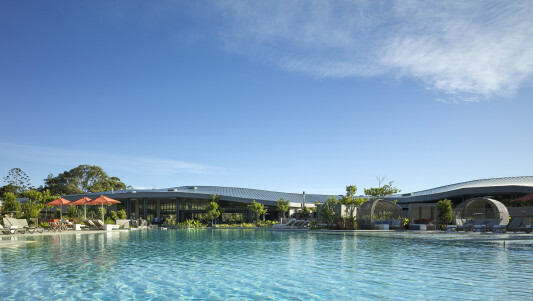 Brisbane architecture firm Shane Thompson Architects has designed the new Elements of Byron resort on the beach of Byron Bay, Australia – a project that is respectful of its unique and special 50 acre site, with almost two kilometres of beach frontage. The design pays homage to the resort’s landscape, including the critically-endangered Littoral Rainforest, natural lakes, ponds and diverse wildlife. Shane Thompson Architects’ design of the central facilities and accommodation (94 villas) is inspired by local naturally-occuring forms: sand dunes, native trees, ocean and lakes. Colour schemes, patterns, textures and finishes were drawn from traditional and rural activities, creating a powerful connection to the landscape, site, and environmental and cultural sensitivities of the area. Meanwhile, an infinity lagoon pool weaves through the resort, alongside a communal fire pit and sun beds. 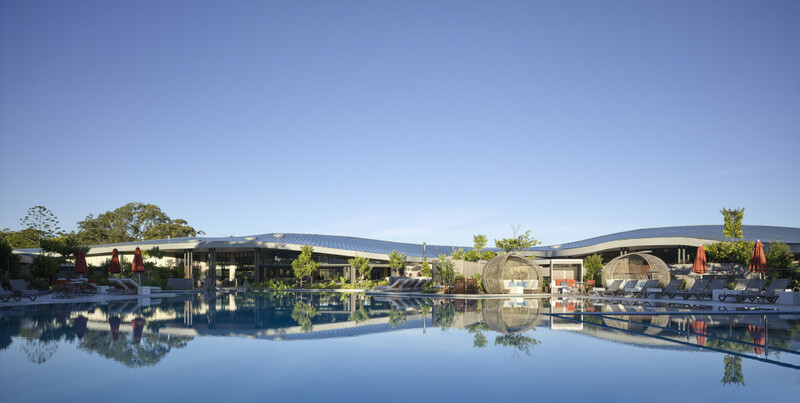 The Elements of Byron resort is an exemplar of sustainable design, with a minimal 10% building footprint. Shane Thompson Architects proposed the reestablishment of the original dunal and wallum landscape to minimise future maintenance and irrigation demands. The nature-first approach saw the introduction of over 65,000 new native trees and plants, and single-storey buildings to showcase the surroundings. Cost-effective rectilinear-plan forms were used, alongside conventional structures and finishes, to respond to site and budget constraints. 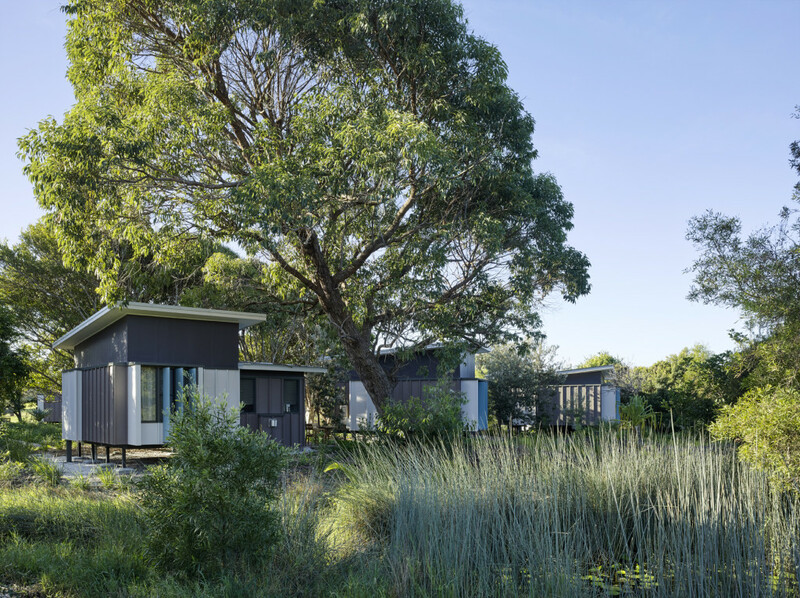 Through this project, Shane Thompson Architects has consciously created a sense of community and place of luxurious retreat, resulting in a resort that projects an iconic and distinctly Australian character to travellers and the wider Byron Bay community.